Mr. Kalyan Bhattarai and Mrs. Nirmala Bhattarai became parent of their first child on March 14, 1974 latter on their child was named as Nabin Bhattarai at Dillibazar, Kathmandu. He did his schooling from Budhanilkantha and College from Kathmandu University (KU). He entered into the musical field after his I Sc, in 1990 with a band named “The Steel Wheels” as a vocalist and rhythm guitarist for the band and sang songs of Pink Floyd, Doors, Deep purple etc.. Later on his friends went abroad then he started his solo musical career since then he is totally in music. During his study at KU, he learnt eastern classic with Assoc. 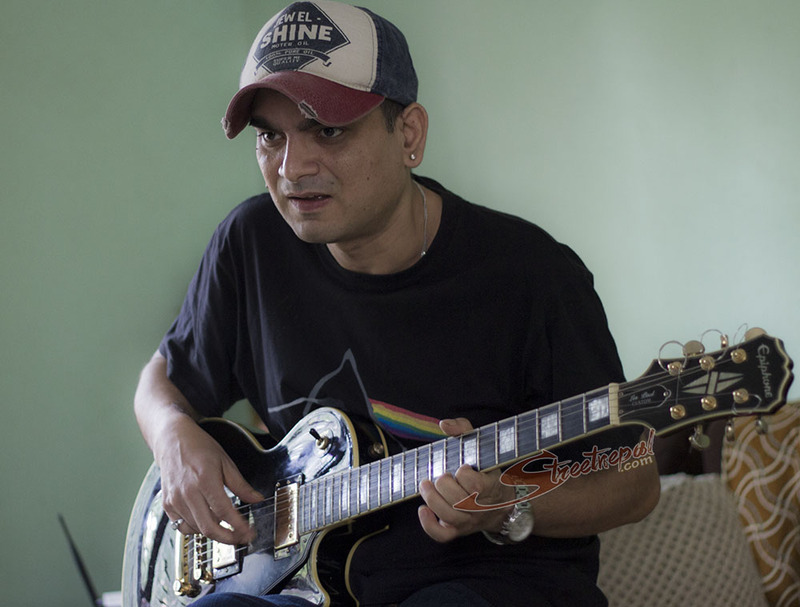 Prof. Prabhu Raj Dhakal, western music with Zert Mathoeus and guitar with Daniel Birch. His first released song Aankhama Timilai from first album Raharai Raharma grabbed the attention of many audiences. His success is not limited at his hard work in creating and performing music only but also covers marketing of his own albums (Cassette) in Dashain festival at Bhirkutimandap from where I had bought his second album Aabhas. 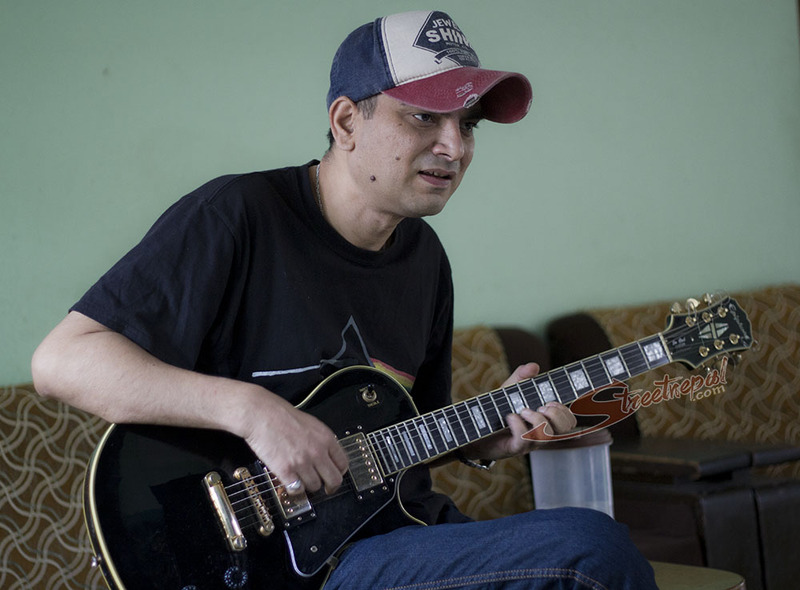 Although he is a hard working musician but also believes in Astrology so added ‘K’, in the middle of his name on the base of Ciro’s book of numbers then became Nabin K Bhattarai. He is a lefty. He afraid of his own blood so does not like driving. He is usually found in causal, jeans & t-shirt, likes to live carefree simple life. 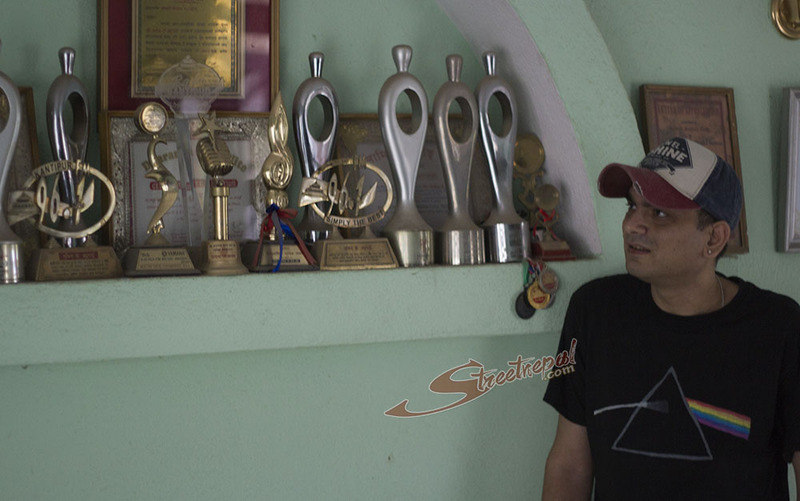 Nabin loves a caring and adoring company of other singers like Sugam Pokharel, Sanjeev Singh, Suresh Kumar. His time pass hobby at home includes painting, watching comedy movies, playing video games eating fish & chips and surfing the internet. His albums are Raharai Raharma, Aabhas, Smriti, Samjhana, Samarpan, Nabin, The Blue, Smriti Re-loaded, G-Major, Nakshatra, Kathmandu and upcoming SLOK. 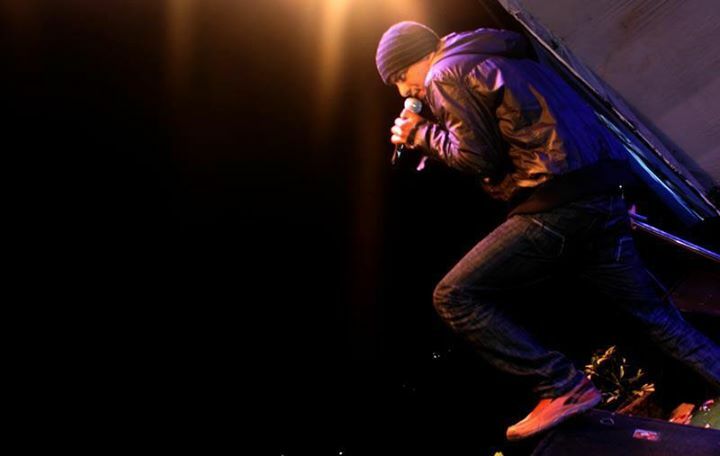 Some of his hits numbers include Timile Herda Kasailai, Timilai Bhetne, Chaina Joona, Raat bityo hera, Yaad Le Timro, ali ali pida huda ni, Sanjhapakha’, Timilai Ma Dobatoma, Fikka fikka cha and many others. 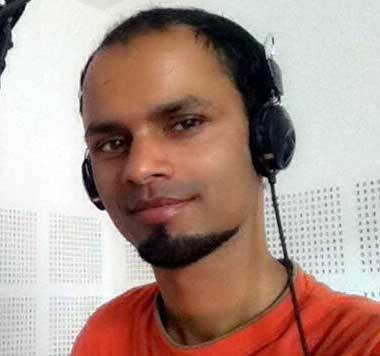 He has created his own type of genre in Nepali music scenario with own lyrics (mostly), compose and vocal performance. He likes doing experiment and giving something new for that he sang with Pranil L Timilsina “k yehi ho ta maya“ which was able to win the heart of listeners. 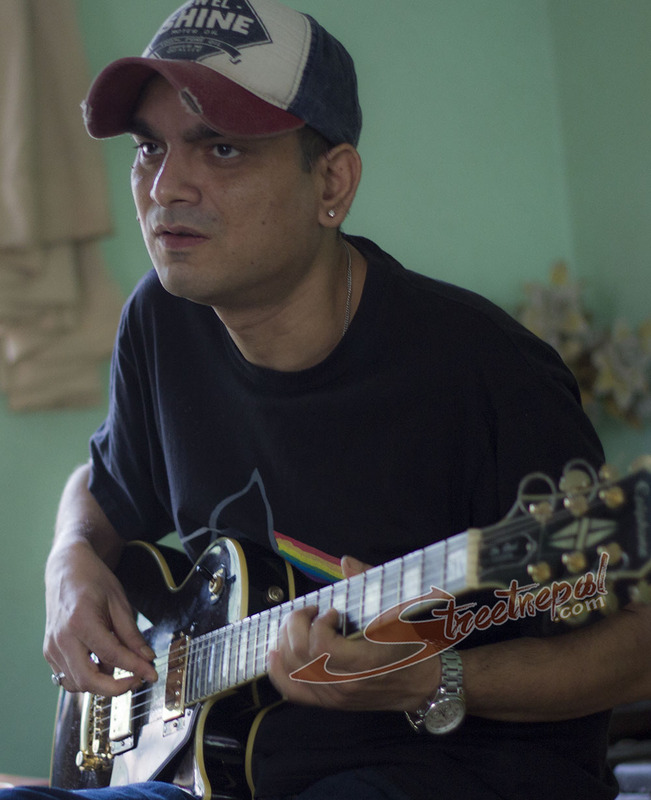 He gave his compose to Ram Krishna Dhakal as well. He says “I have not created a song with full of satisfaction due to different circumstances yet”. Although he is popular but his songs are rarely found in film, it’s not because of lack of opportunity but lack of quality and freedom in creation. He has composed in a movie called “Challenge”. He has also sung an English number called “Million faces” in his album Kathmandu. Nabin got married with Nabina Rajbhandari from Pokhara on June 23, 2010. Now he is father of a baby boy named Slok who was born on April 10, 2012 so his new album is dedicated to his son .This album includes songs with social and inspirational messages beside usual tracks. Although I can’t remember the name of events but I am sure he has done number of shows for humanitarian, welfare of children, old age, prisoned people etc. as his social responsibility. Nabin dai is a great Singer.